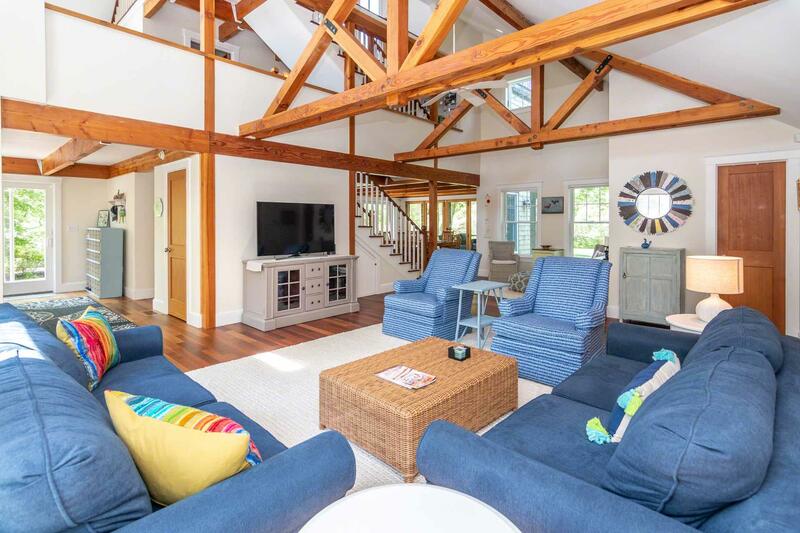 Point B Exclusive - This contemporary architect-designed home features three floors of living spaces, including a roof deck, plus nicely integrated outdoor living with a screened porch and main deck. 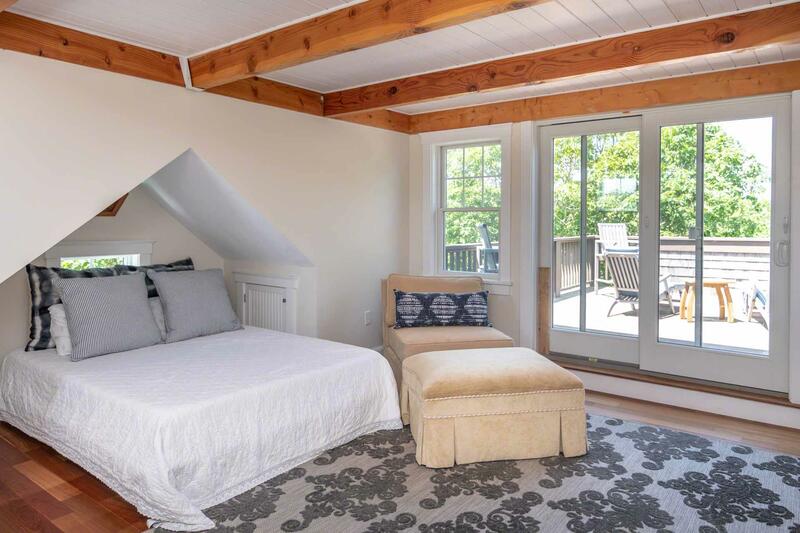 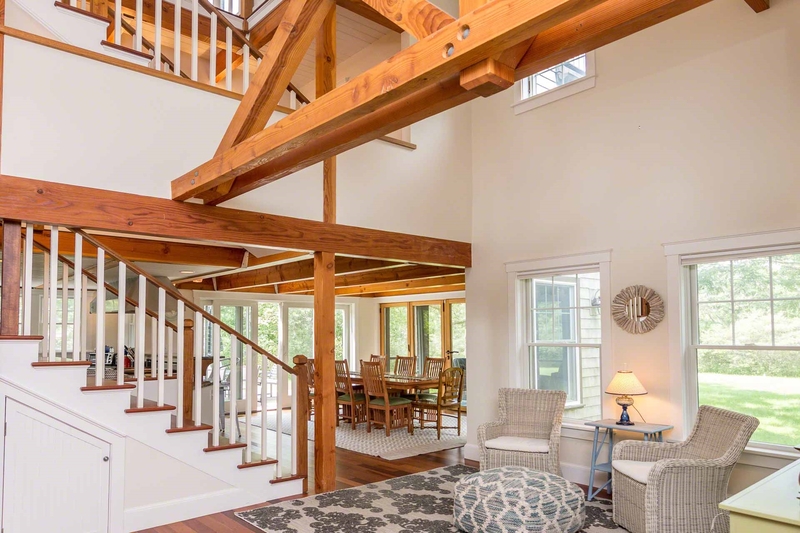 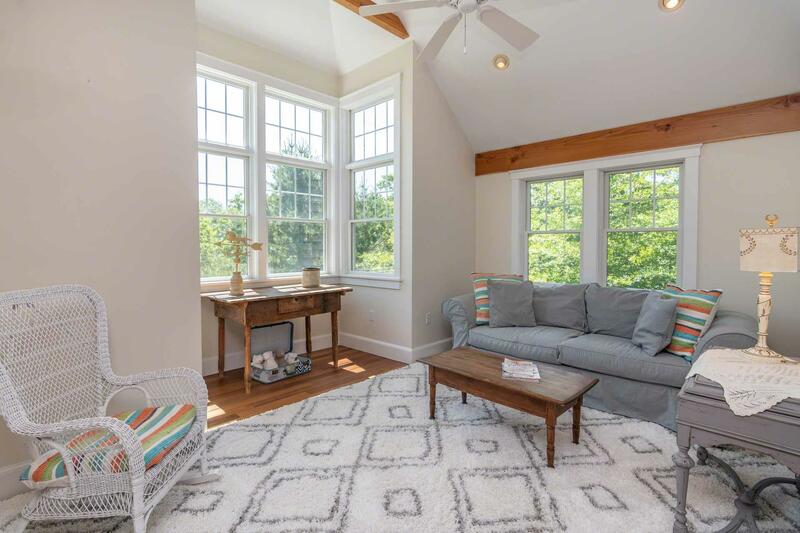 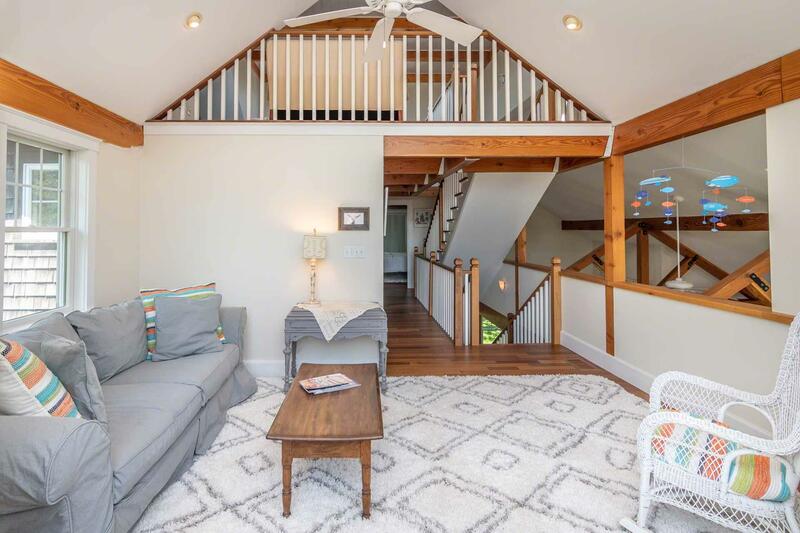 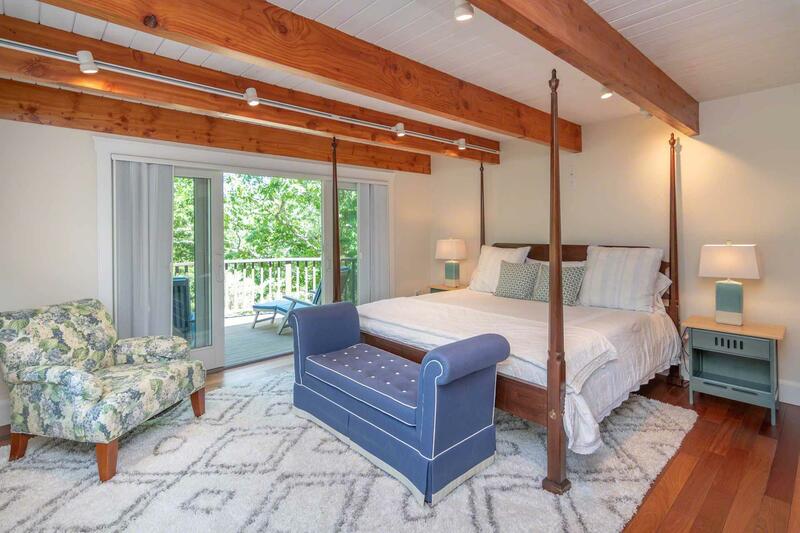 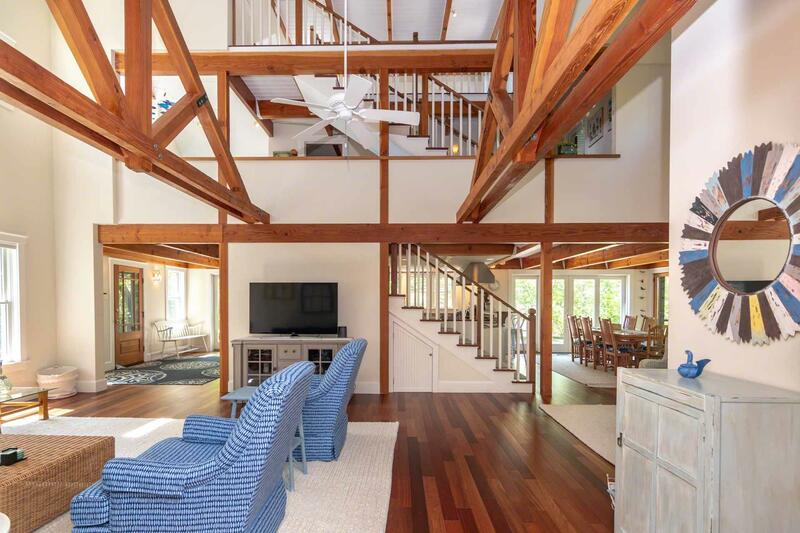 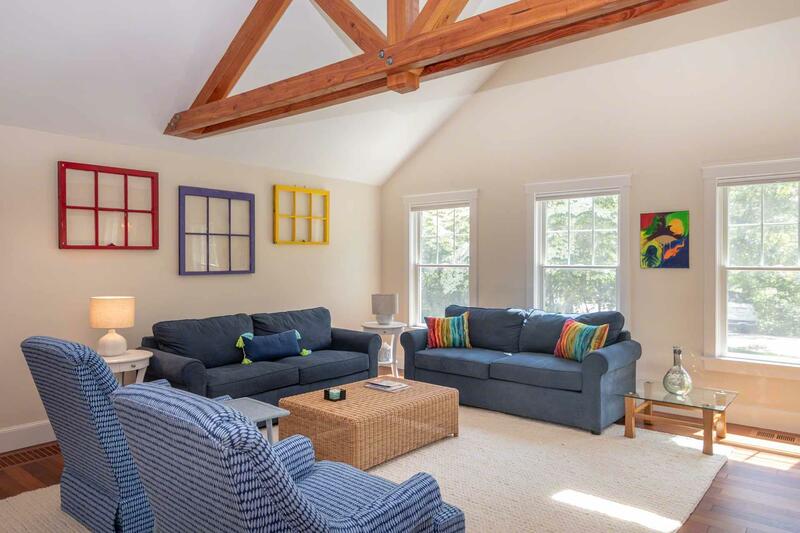 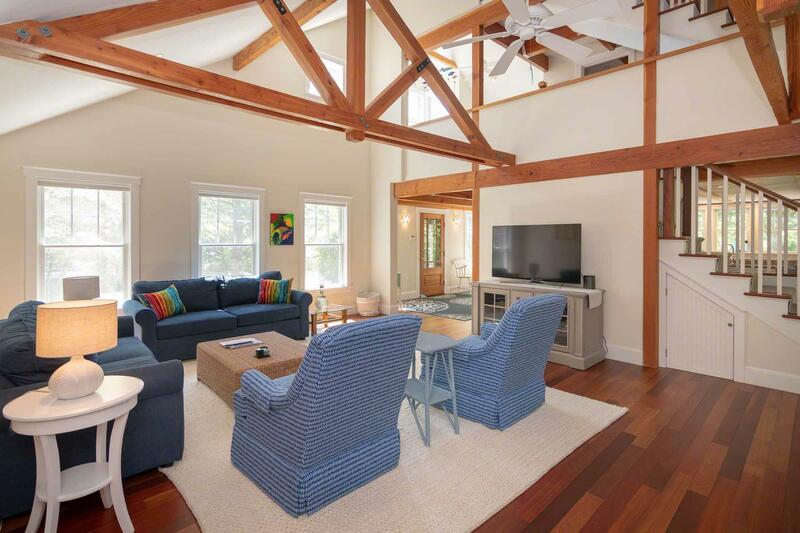 The recently updated open-design first floor has a dramatic Living Room with vaulted ceilings and beams, that is framed by an open stairway with loft overlooks up to the third floor. 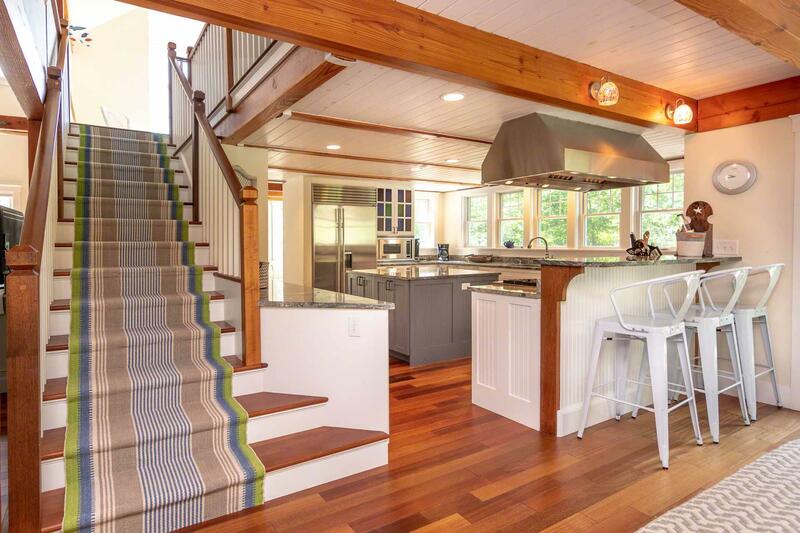 On the other side of the stairway, there is an open Dining Area and Gourmet Kitchen. 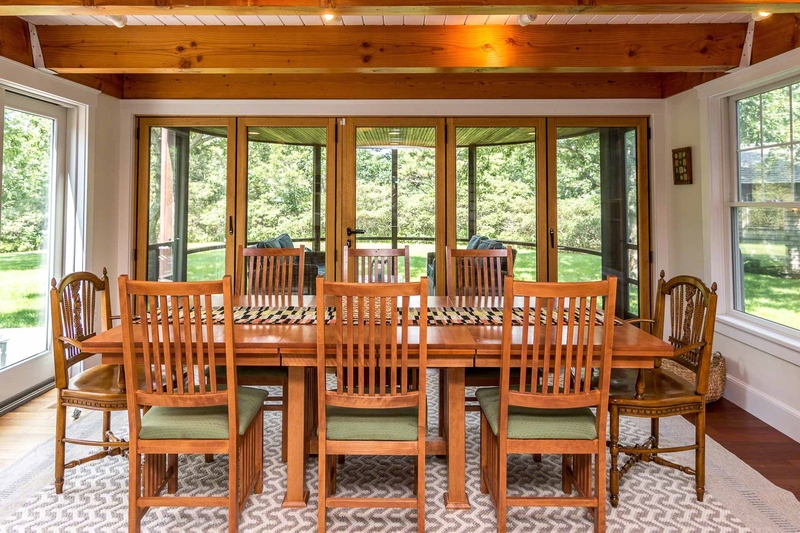 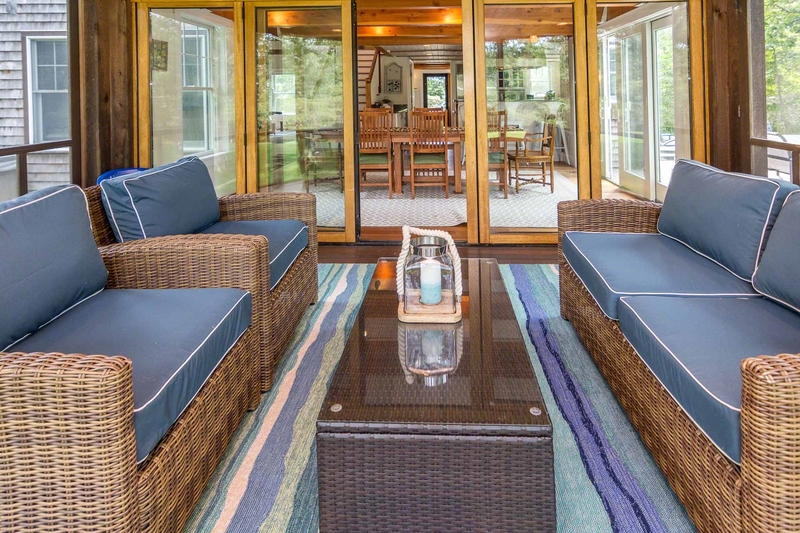 Glass doors open from the Dining Area to both the deck and the circular screened porch for easy indoor-outdoor living and entertaining. 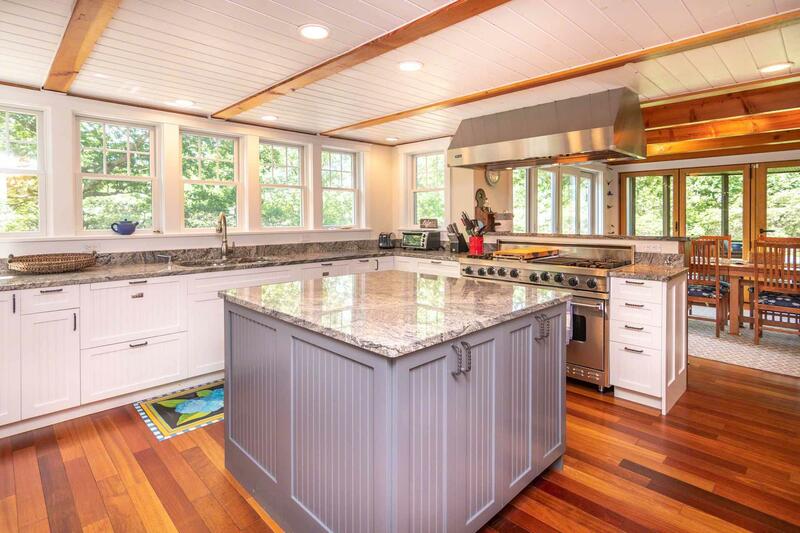 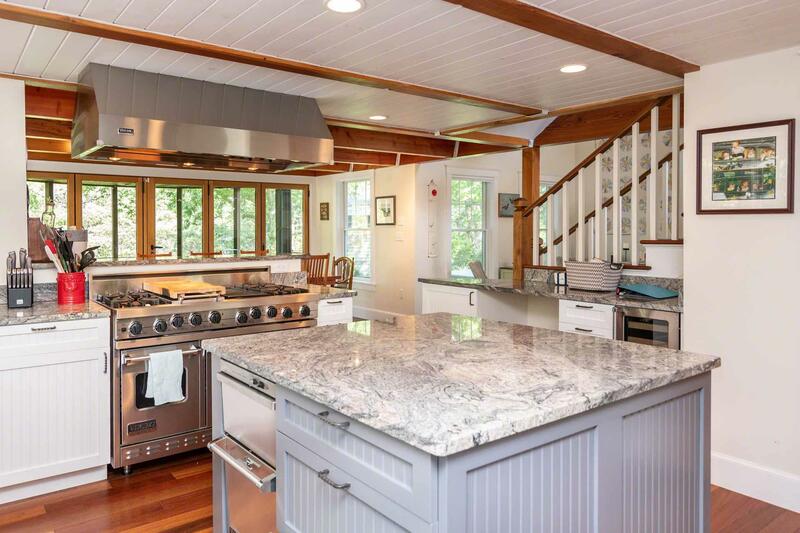 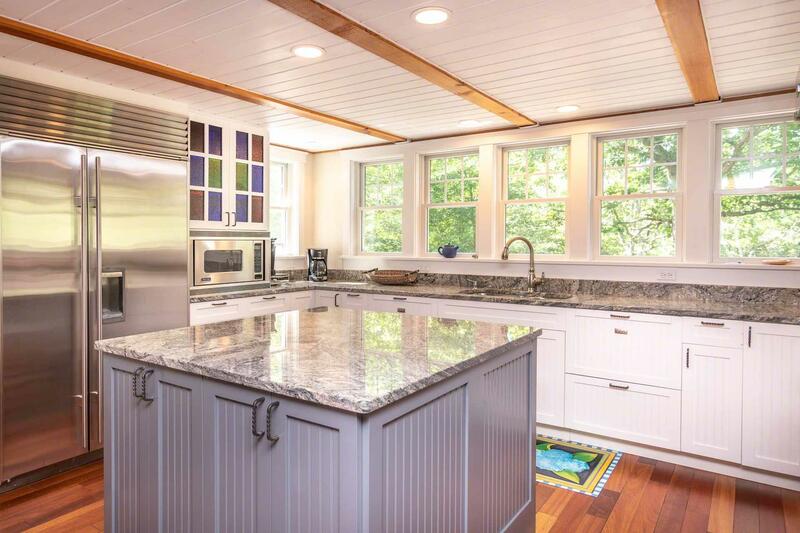 The sunny Chef Kitchen is nicely equipped with commercial stainless appliances, wine refrigerator, center prep island, breakfast bar, granite counters, and walk-in pantry. 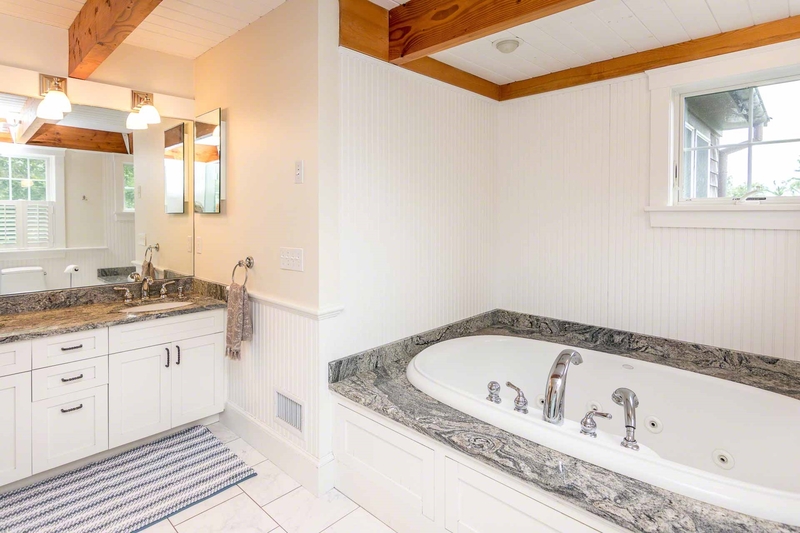 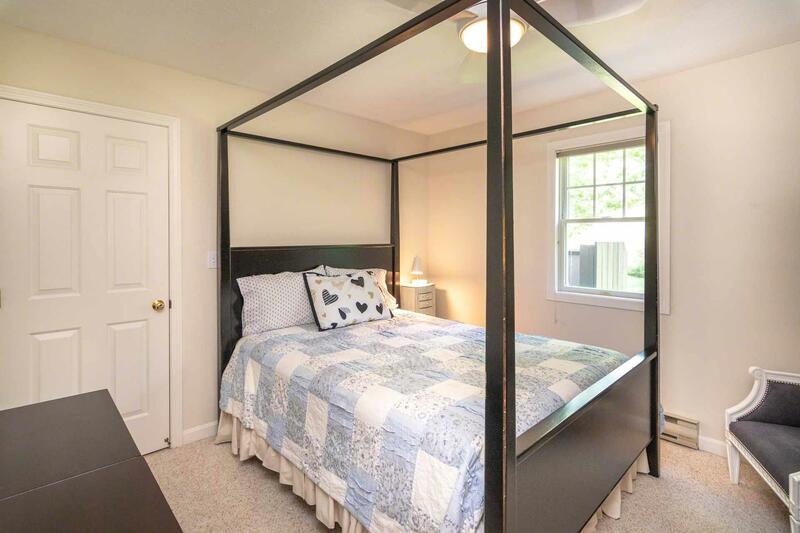 Three of the four Bedrooms are also located on the first floor, and share a full bath. 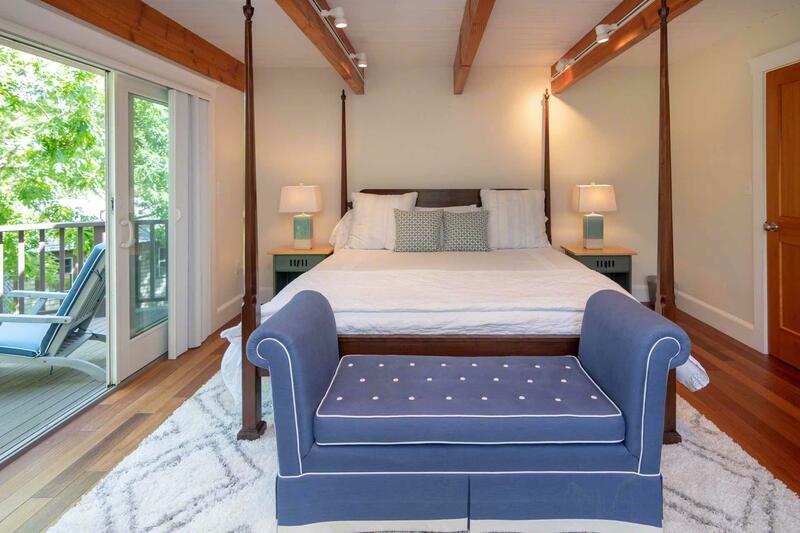 The Master Bedroom suite is privately located on the second floor. 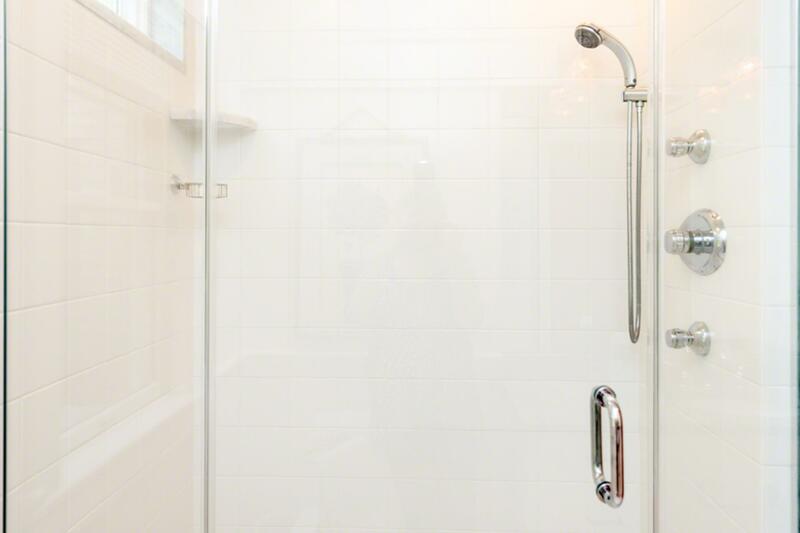 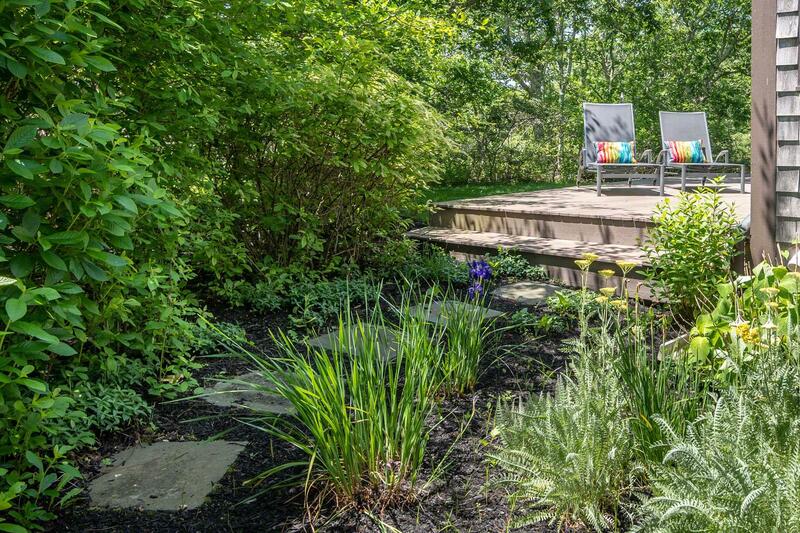 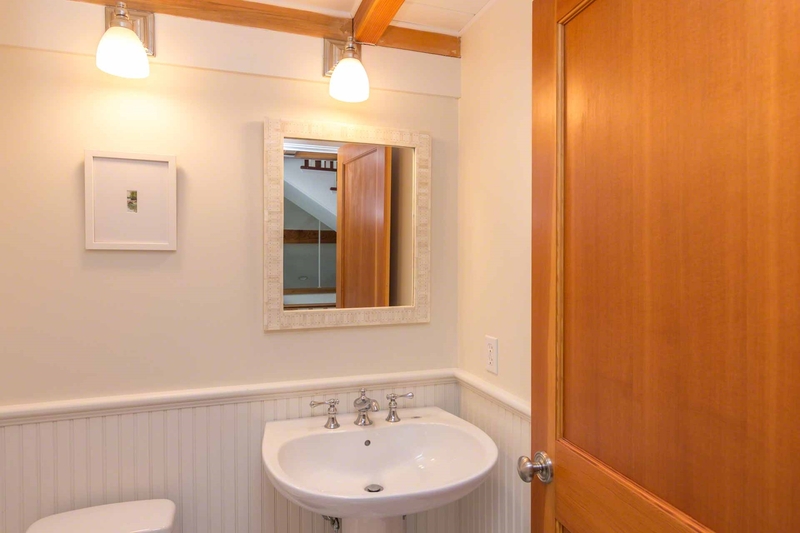 It has a private deck, and en suite bath with double vanity, soaking tub, and walk-in shower. 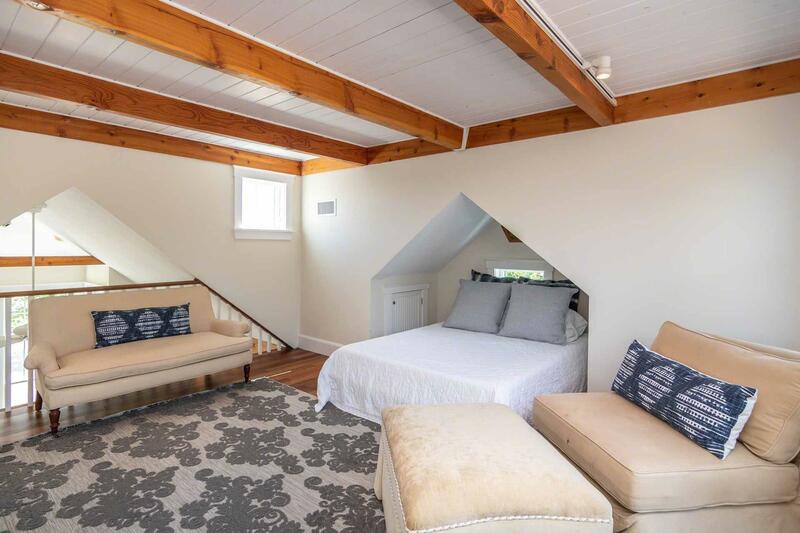 The second floor open loft style landing has a queen sofa bed,and a nice sitting area. 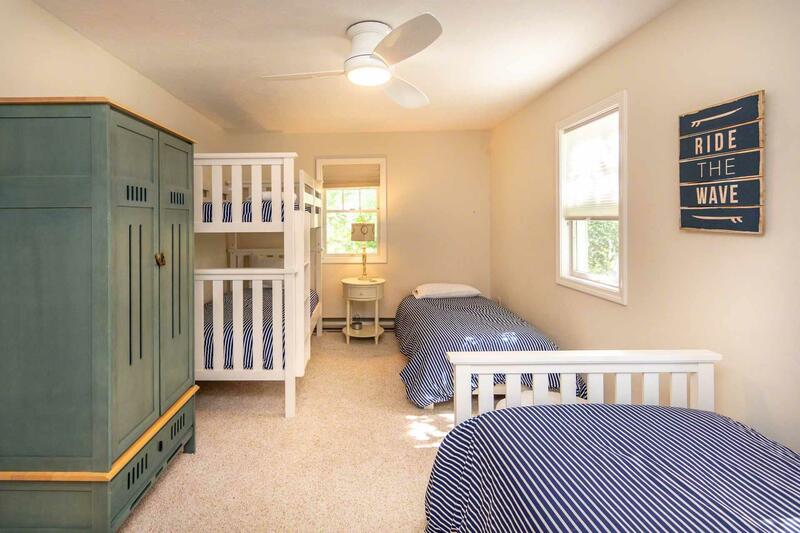 Heading up one floor, there is a Family Room with double size futon that opens to a large private deck. 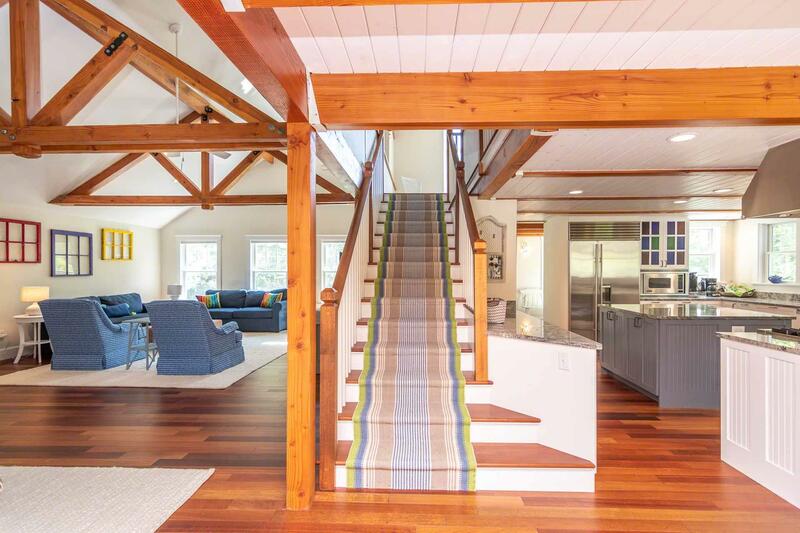 Stairs lead up even higher, to a roof deck, with views across the treetops. 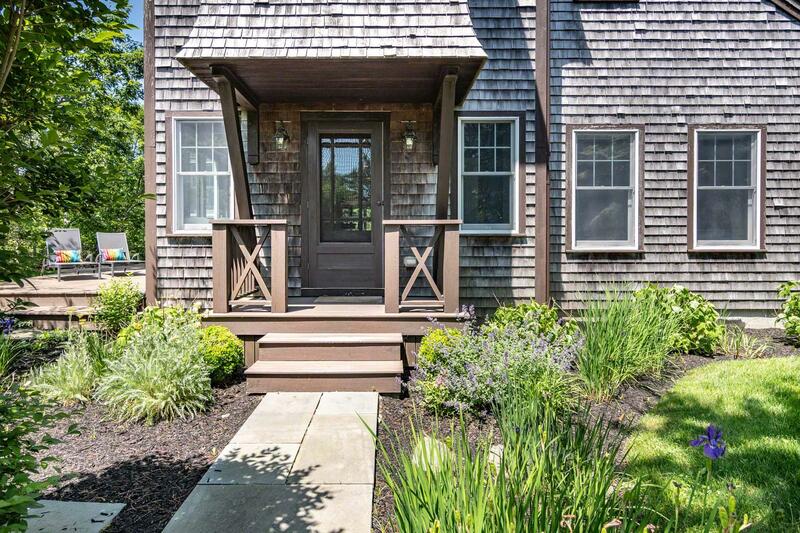 Long Point Beach is only a few minutes away. 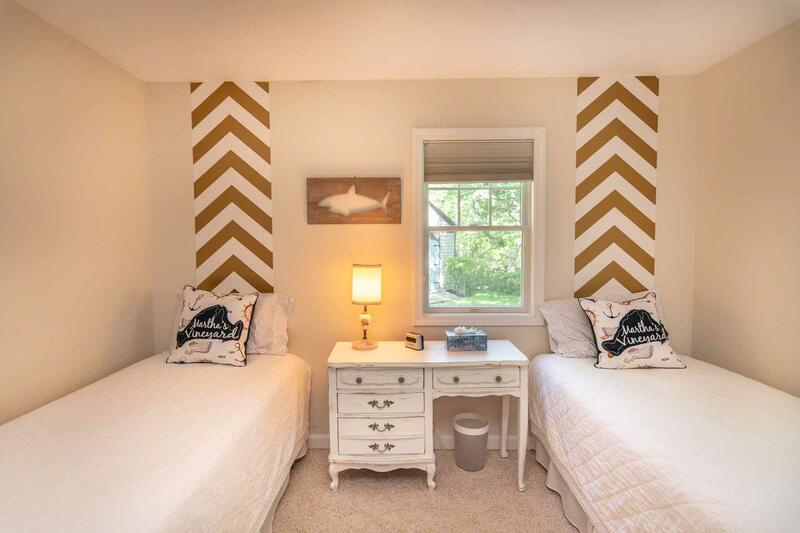 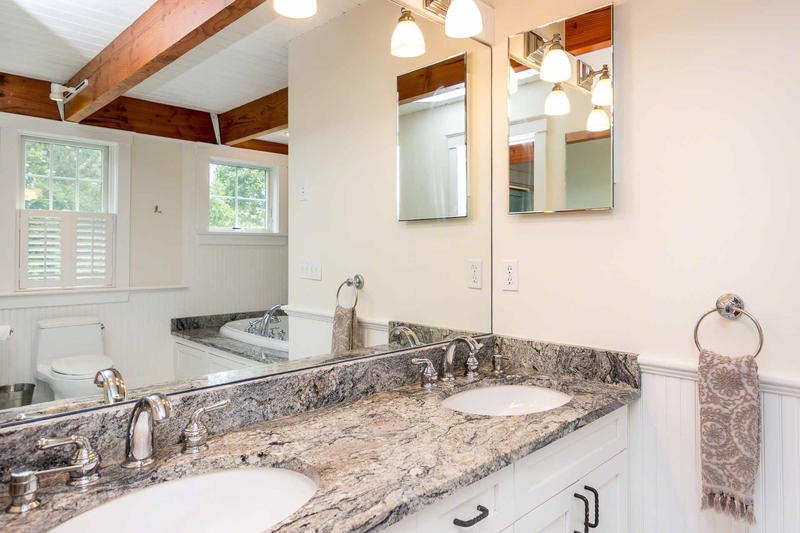 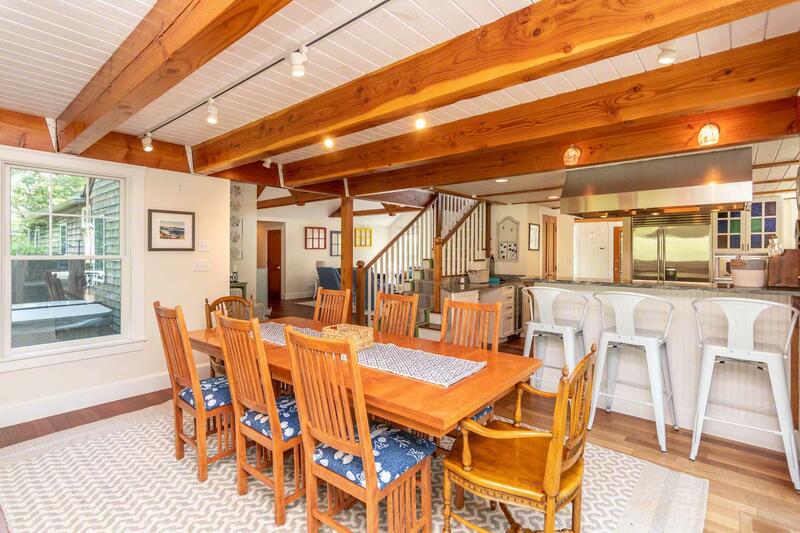 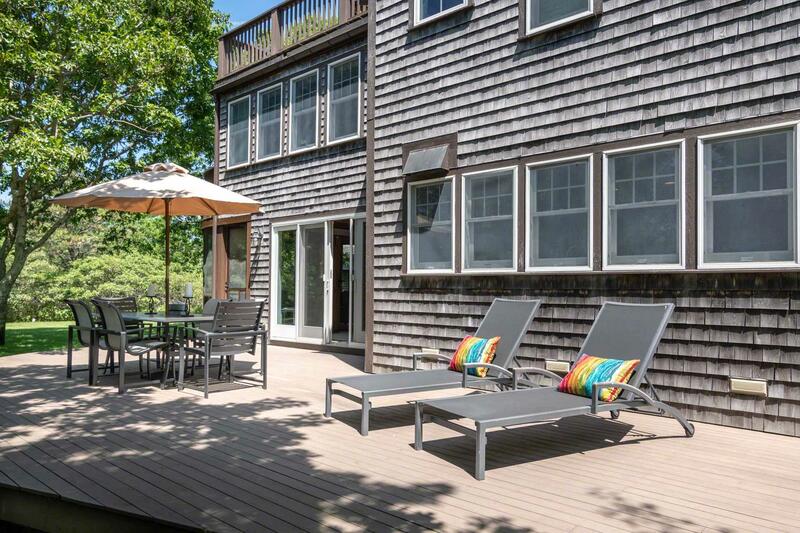 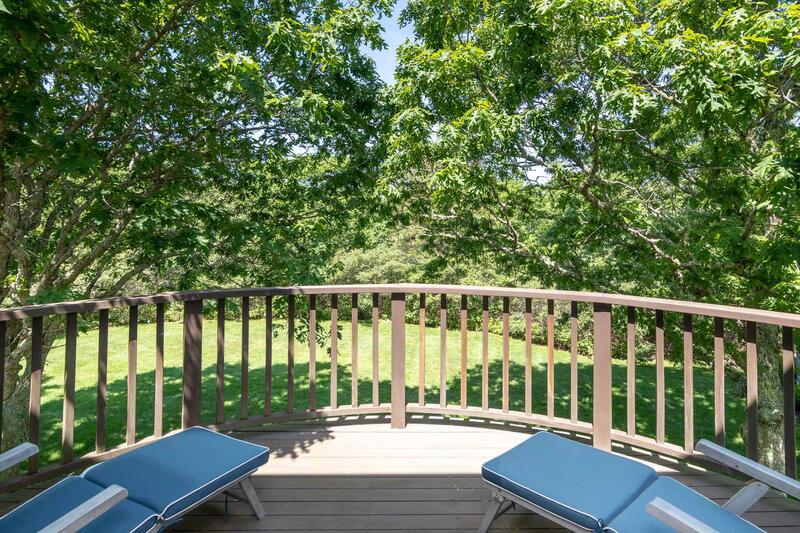 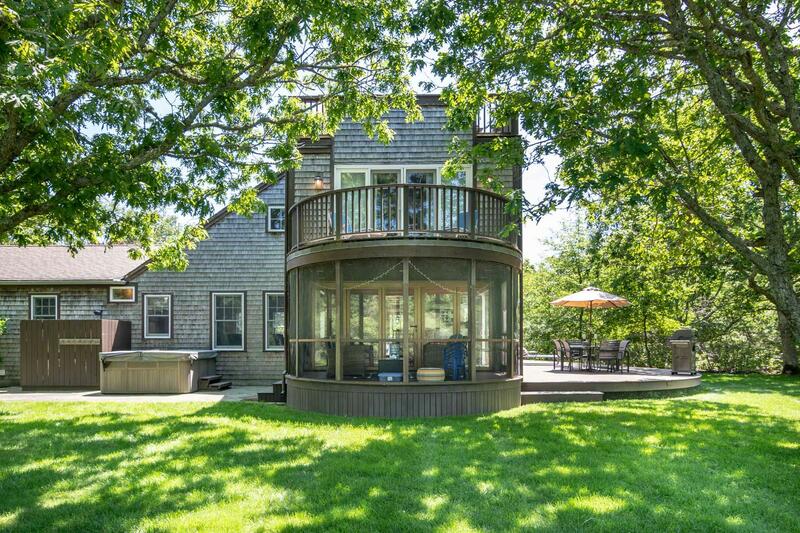 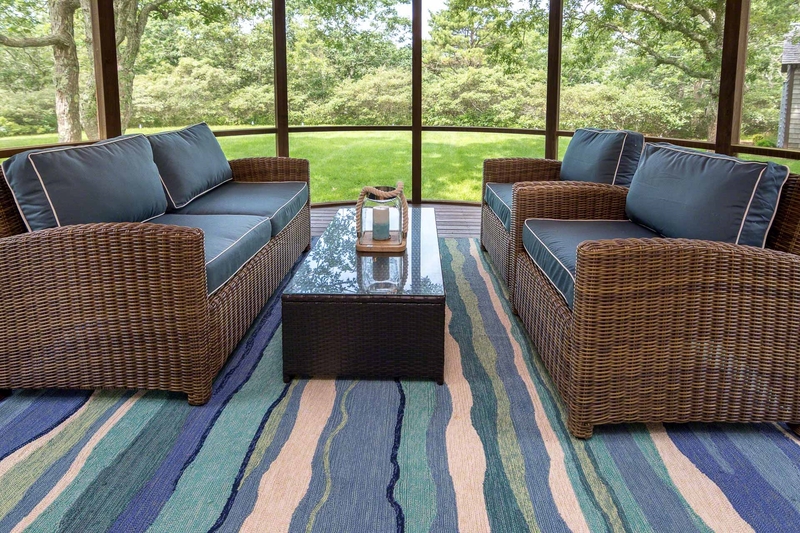 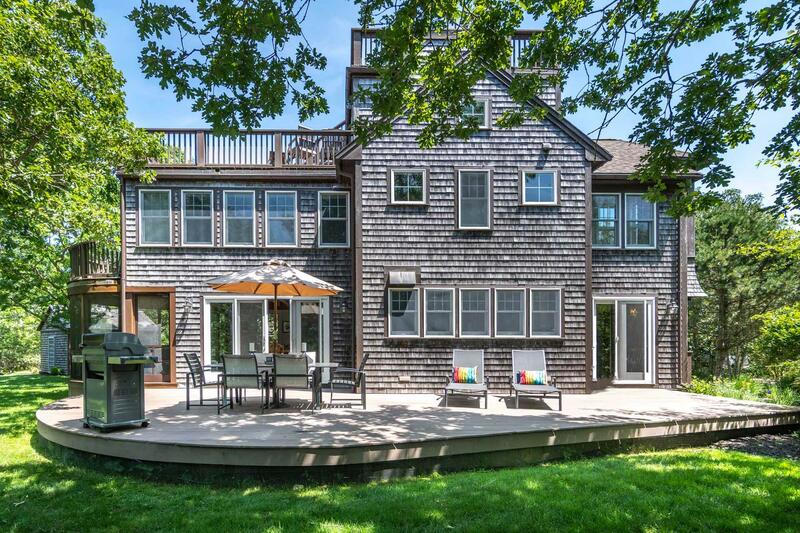 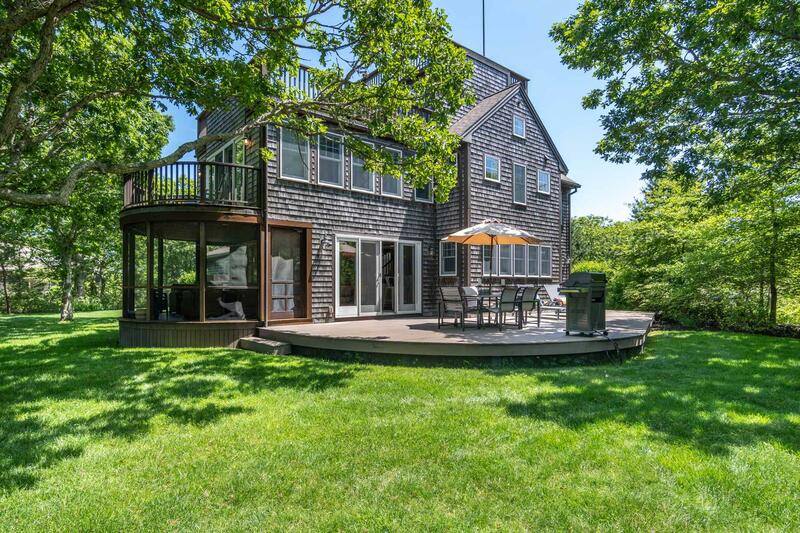 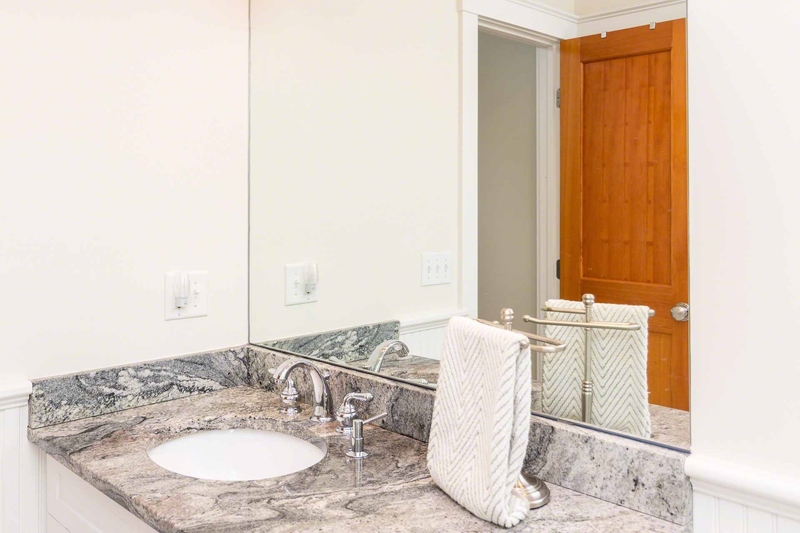 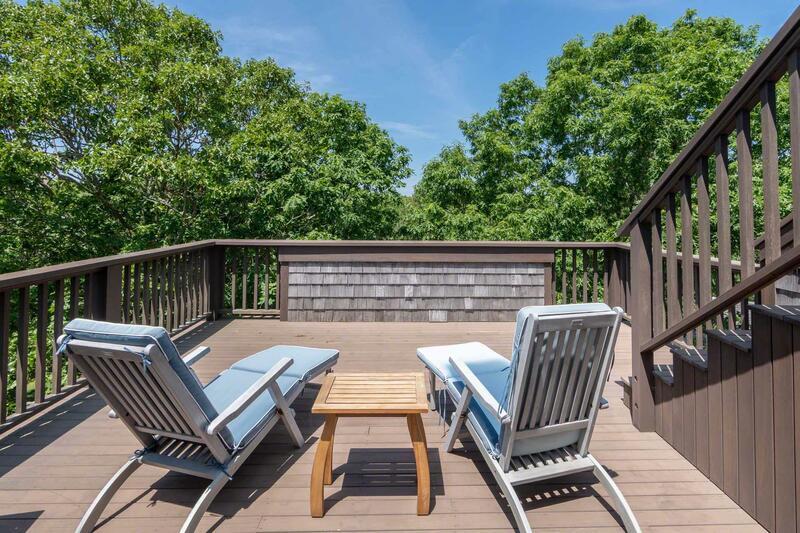 You are also near the bike path, the airport, and the central location makes it easy to get to Edgartown, West Tisbury, Vineyard Haven, and Oak Bluffs.